In May we started to receive reports of anti-social behaviour, such as verbally abusive or disruptive behaviour, and street drinking, in Newport around Church Litten and the bus station. On Monday 13 August, between 1-1:30pm the Neighbourhood Policing Team will be holding a special lunchtime tweet surgery on the @IOWightPolice twitter account to answer questions and provide advice about anti-social behaviour. The team won’t be taking specific reports of crime via Twitter, these can be made by calling 101 or visiting the Hampshire Constabulary website, but they will be providing practical advice to residents. 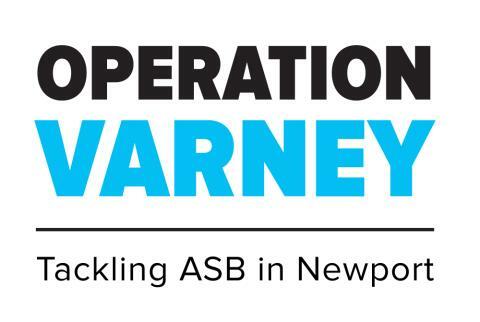 On Wednesday 15 August, between midday and 5pm the team will also be taking part in a Facebook day of action to highlight Operation Varney and provide an insight into the impact anti-social behaviour has on members of the public and retailers. Every hour a short video will be posted on the Hampshire Constabulary Facebook page and @IOWightPolice Twitter account, featuring PC Ben Sharland and guests to explore a different aspect of the work that’s being done in the town centre to tackle anti-social behaviour. Members of the public will be able to share and comment on the videos. Inspector Rob Abel said: “This is an innovative approach to tackling anti-social behaviour (ASB), which is a priority for Hampshire Constabulary and Newport’s Neighbourhood Policing Team. I’m delighted that members of my team are using different channels online to compliment the work they’re undertaking on the streets in Newport. By using social media platforms like Facebook and Twitter we can take part in a conversation with people of all ages in their own homes. This helps us to address problems that have been identified to us, while engaging with a much wider audience about things like anti-social behaviour. “If you see anyone causing a public order issue or anti-social behaviour in the town please call us at the time. Don't think that someone else will report the problem. We need you to report any incidents to us, so that we can build a complete picture of what is happening in the town centre. You can do this by visiting the Hampshire Constabulary website or calling 101”. Often children do not need to buy alcohol, they take it from home without their parents' knowledge. Keep alcohol in a safe place and keep a check on how much you have, so that you will know if any goes missing.